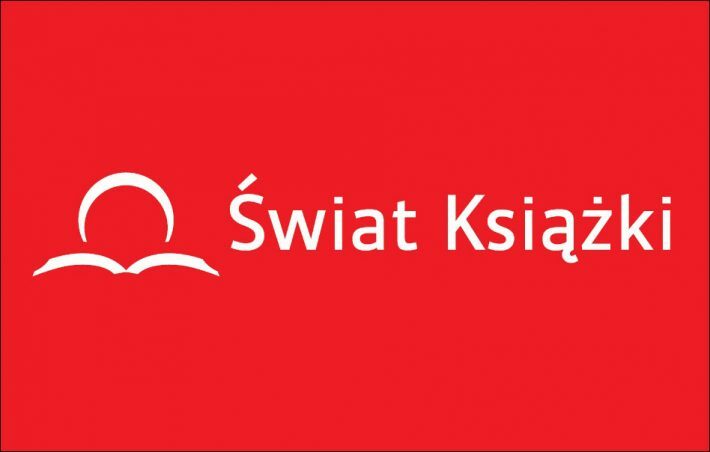 As other companies have done, Świat Książki has gained traction in part by taking over some locations of the distressed Matras chain in Poland’s bookstore marketplace. Poland’s Świat Książki (Book World) is reporting rapid development and is close to becoming the country’s second-largest bookstore chain. Its gains come as local publishers and distributors are intensifying efforts to use bookstore chains to secure their market positions. In March 2013, the distributor FK Olesiejuk purchased the Świat Książki brand from Germany’s Weltbild. Since then, the company has leveraged the brand recognition of Świat Książki—which shares its name with a popular publishing house sold in a separate deal—to compete against other established bookselling chains. These include Matras, the country’s No. 2 bookstore brand, which has been shutting down its outlets in anticipation of bankruptcy proceedings. Last year alone, Świat Książki launched 48 new outlets across the country. Some of those were outlets previously operated by Matras, but others were bookstores opened in completely new locations. Data from the chain suggests that Świat Książki’s stores are concentrated primarily in Poland’s western and southeastern sectors, with the eastern regions still showing markedly fewer retail locations. Building on last year’s expansion, Świat Książki officials say they expect to open new bookstores this year. In selecting new locations, the chain puts a lot of emphasis on on shopping malls, according to company representatives. Bender says that one of the pillars of the chain’s market strategy is to ensure top-quality customer service at its bookstores, encouraging customers to come back to its stores. In this year’s edition of the Daymakerindex report, an annual mystery shopper survey that covers 130 retail chains active in 18 market segments, Świat Książki had the 27th position, the highest ranking of any outfit in the Polish bookselling industry, according to Bender. In 2018, the chain has a score of 84 percent, up from two years ago, when it scored 63. Data from Świat Książki’s bestseller list indicates that adult fiction is driving the chain’s sales. Between April 9 and 22, its customers’ key buys were of books by Lee Child; the Polish fantasy writer Andrzej Pilipiuk; crime novelist Katarzyna Puzyńska; YA fiction writer Małgorzata Musierowicz; and B.A. Paris. Of the 20 bestselling books in this period, only three were nonfiction titles. 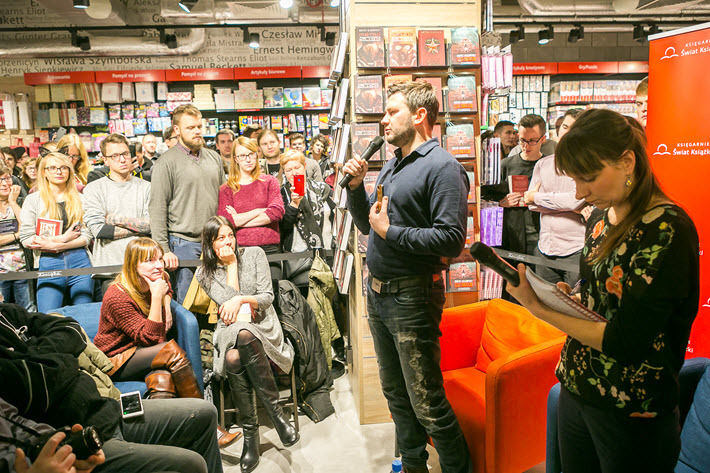 Empik dominates the country’s bookselling sector with its network of some 240 outlets in Poland and the chain continues to increase its foothold through acquisitions. And, as Publishing Perspectives has reported, the BookBook chain seems to be Świat Książki’s main competitor for a podium position. BookBook is a joint initiative of six publishing houses including Prószyński, Helion, Publicat, Rebis, Zysk and Czarna Owca, as well as the book distributor Super Siódemka. The BookBook collective is an attempt by local publishers to compete with the major chains. The retailer launched its first bookstores in 2016, and as of end 2017 operated 95 outlets, nine of them launched last year. 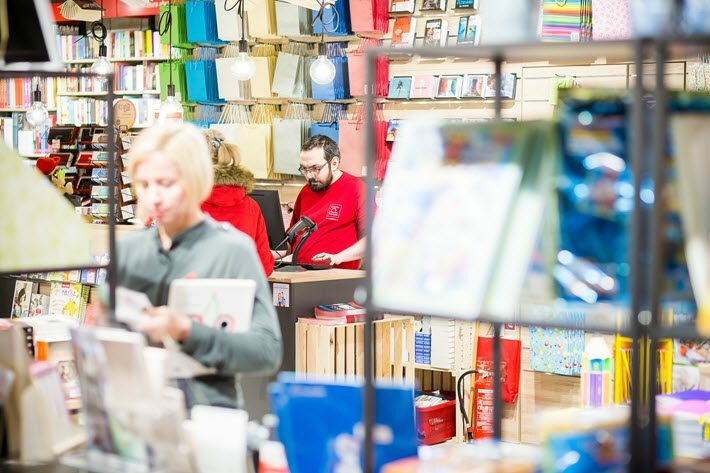 Empik’s latest venture, the bookstore chain Mole Mole—also in direct competition with Świat Książki—has benefited from Matras’ financial woes by replacing some of its outlets with Mole Mole bookstores. Empik’s small-retail format has locations in 19 cities in Poland, and operates a total 28 bookstores, according to data released by the company. New players continue to enter Poland’s bookselling race. Jan Sieracki, the co-founder and former president of Matras, has joined the management board of a new bookstore chain, Bookszpan. The chain recently launched four new outlets, and currently runs 23 bookstores. 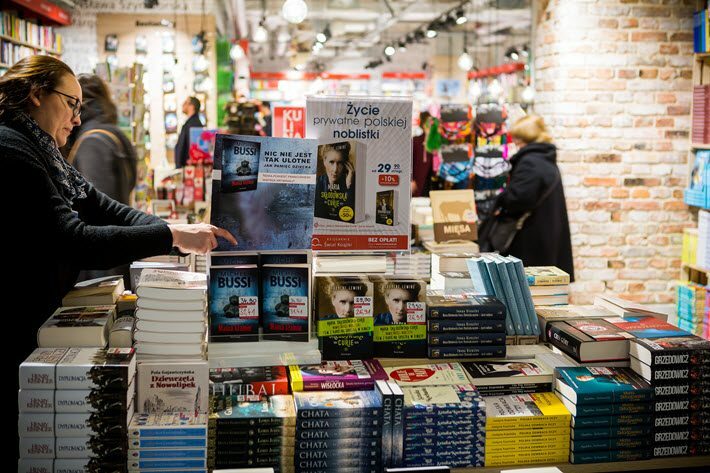 Katowice-based Sonia Draga, the publisher that brought Dan Brown’s thrillers to the Polish market, is a major shareholder in Bookszpan, which has a particularly strong foothold in the country’s southwest.